I assumed that with the addition of LTE, Apple Watch would become a true alternative to using a regular mobile phone. Maybe not a permanent replacement for an iPhone, but at least something you could take with you when you didn’t want to carry much bulk. For example, every day I jog along the beach near my home. If the weather is nice, I like to take a quick dip in the sea, and dry off in the sun on the way back. It would be amazing to take a Series 3 watch with me so I’d always remain connected with friends and family, even when I’m soaking wet. But I can’t. Why? Because I’m a Brit currently living in Spain. Apple Watch LTE is not available here. Although I could get one with EE, my UK carrier, Apple Watch does not support global roaming. Sure, if you don’t spend much time abroad and you’re lucky enough to live in one of the few countries that Apple is supporting at launch, this is not that big a deal. But I think it is indicative of a bigger problem with the way Apple introduced cellular to Apple Watch: You can only use it with your iPhone’s existing cellular plan. Parents could buy them for their kids: An Apple Watch is cheaper than an iPhone. Plus, kids won’t lose them because they’re strapped to their wrists, and parents can’t lose their kids thanks to the Find My Friends app. Phablet fans no longer need an iPhone: For those who think an iPhone is too small and like to tote an iPad around in their man bag instead, an LTE Apple Watch could be the perfect addition to stay connected. If Apple had included an Apple SIM with Series 3, like the one in iPad Pro, the company could have launched the device globally, made it a stand-alone device and allowed people to roam with it too, buying data plans on the hoof, without needing to piggyback on an existing iPhone contract. Sure, that would mean your phone number changing, but honestly, who makes regular phone calls anymore? A flashy feature of the Samsung Galaxy S8 is its always-on display. There isn’t much point to a phone’s display staying on constantly (sorry, Samsung). But for a smartwatch I think it would make a lot of sense. I find it frustrating when I’m running and I raise my wrist to check my pace, then must wait for the Apple Watch screen to wake up. Sure, it only takes a moment, but for most fitness applications, a moment is a long time. It would be fine for the screen to dim a little to preserve battery when the watch is not raised. But for it to switch off altogether just feels clunky in this day and age. If Samsung can solve this on a phone, then surely Apple can do it on a watch. It’s embarrassing when I try to show someone my watch and the screen just won’t wake up. And it’s not much of a fashion accessory when only the wearer can see the watch face. For everyone else, it’s just a fugly blank rectangle. GPS devices like Apple Watch take regular “samples” of your location. Each sample is the coordinates for your location at a specific point in time during your workout. Apps like Nike+ Run Club use these samples to plot route maps of where you ran. I tested the GPS data I get from my Series 2 Apple Watch pretty extensively last year, and was disappointed to discover that the Nike+ Run Club app got the coordinates for my location to plot on the route map just once a second. That did not compare favorably with the four samples per second I got from my (much cheaper) TomTom Spark. I get four times as much data on my location from TomTom than from my Apple Watch. Given that Apple pitches its wearable as a “premium sports watch,” I expected it to provide better GPS tracking than my TomTom, not worse. I was hoping that during the Apple Watch Series 3 segment of the iPhone X event we’d hear something about improvements in GPS sample frequency. But Apple made no mention of it. It seems unlikely Apple would improve it without saying anything, but I’ll need to test the new hardware to be sure. Users can be an ungrateful bunch. I know this from my own experience as an app developer. Whenever we add a new feature to our app, especially one that users have been wanting for ages, they tend to just say “finally!” and move on to demanding the next item on their wish list. It can feel like a bit of a thankless task. So let me say that I think it’s awesome that Apple added cellular to Apple Watch. It’s astounding that Cupertino managed to cram it into a watch that is pretty much the exact same size. Squeezing in the altimeter, too, is pretty remarkable. I will definitely be upgrading when it reaches Spain. Will Apple fix these problems? How things have changed. When Apple unveiled the Apple Watch in 2014, it got top billing in the “one more thing” slot. Apple CEO Tim Cook crowed last week that Apple Watch has overtaken Rolex to become the “No. 1 watch in the world.” But I can’t help suspecting that he is still a little disappointed with how things have turned out. Apple Watch supposedly marked the company’s move into luxury fashion products. There was even a solid gold model. But pretty much everyone opted for the cheapest “Sport” model, which eventually became the default. Fancy features like steel link bracelets became relegated to optional accessories. The watch was once touted as the “next chapter” for Apple. A new platform to rival the Mac and the iPhone. But now Apple’s marketing focuses on health and fitness, and other features like Digital Touch are all but forgotten. I hoped the addition of LTE would reinvigorate the marketing of Apple Watch. 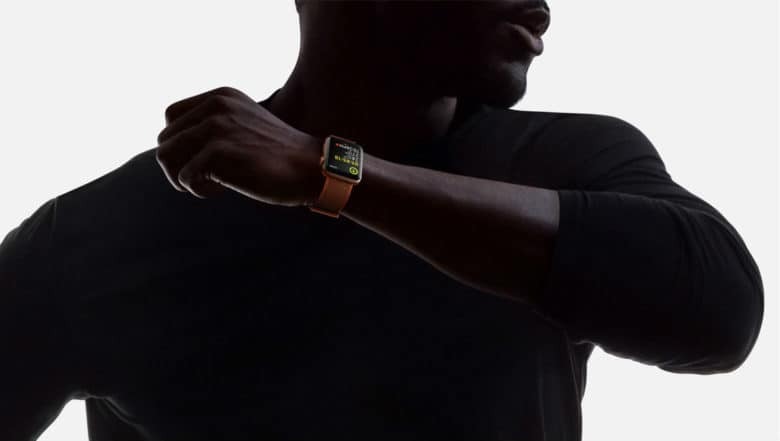 Instead, Apple is sticking closely to its new health and fitness angle. Even cellular phone calls were given a fitness angle by (rather oddly) demoing how you can take a call while paddleboarding. I still believe Apple Watch has huge potential. Not just as a fitness device, but as a genuine alternative to iPhone. LTE is an important step forward. But Cupertino still needs to do more to realize the “ultimate expression” of what Apple Watch could be. Maybe one day it will once again be worthy of that hallowed “one more thing” slot.